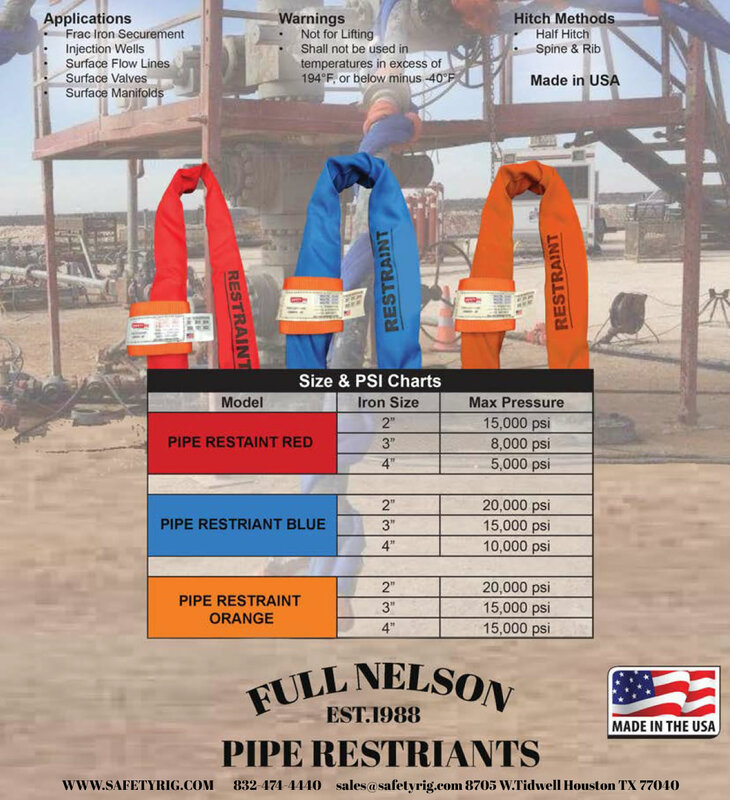 Safety slings 2” , 3”, 4” pipe restraints for restraining high pressure flow iron pipe, We offer red, orange and blue for 15,000 psi chicksan flow iron. 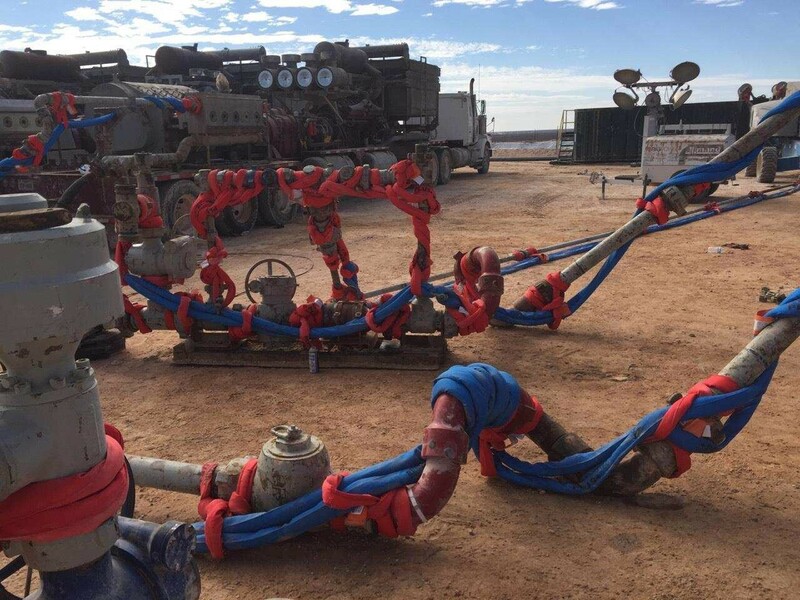 The full nelson style pipe handlers Secure/ wrap around pup joints, high pressure oilfield pipe to secure them in case of a failure. We offer a full line of lengths to fit any size of chicksan pipe, fmc pipe, abco, kemper or best swivel brand flow iron, fmc, weco, TPR style temporary pipe restraints.. Put your pipe in a "Full Nelson" hold. Email of call for your quote. also ask about choker hitches in 4'6" length to fit between the male hammer union ends by special order. Applications: Chiksan Pup Joints, Injection Well, Surface Flow Lines,Frac Iron Securments, Surface well, Surface Manifolds. Hitch Methods:Half Hitch, Spine & Rib. We can make any length you need in sizes to fit 2", 3" and 4" pipe. For sale or rental call for questions and more info. 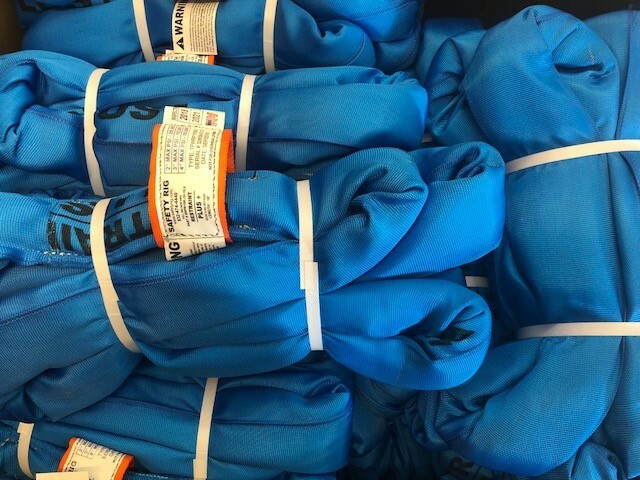 Nylon Pipe restraints keep pipe under control or within limits in the event of a failure. The TPR temporary pipe restraints are a device that limits or prevents freedom of movement of red, blue or black flow iron pipe during use, test to secure the pipe for safety purposes. Protects from whips of pipes, various colors represent the duty of light duty, medium duty and heavy duty. belt, harness, strap of pipes during the testing or field use. Made for Red iron, flow iron, 1502 chicksan flow line. 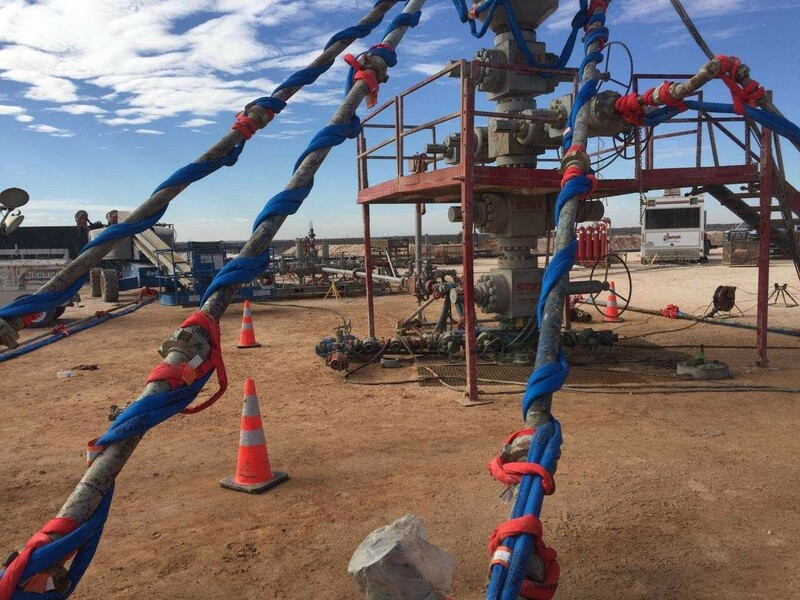 The full nelson style pipe handlers wrap around pup joints, high pressure oilfield pipe to secure them in case of a failure. We offer a full line of lengths to fit any size of chicksan pipe, fmc pipe, abco, kemper or best swivel brand flow iron. Put your pipe in a "Full Nelson" Hold. Webbing Safety Sling for 2”, 3” and 4” PIPE 15,000 PSI pipe, Choker, Hitch, C link, D link, FMC style temporary pipe restraints. Pipe restriants on the rig location. 832-474-4440 sales@safetyrig.com 24/7 hours a day in stock ready to go.